 FREQUENTLY ASKED QUESTIONS CLICK HERE! 1. 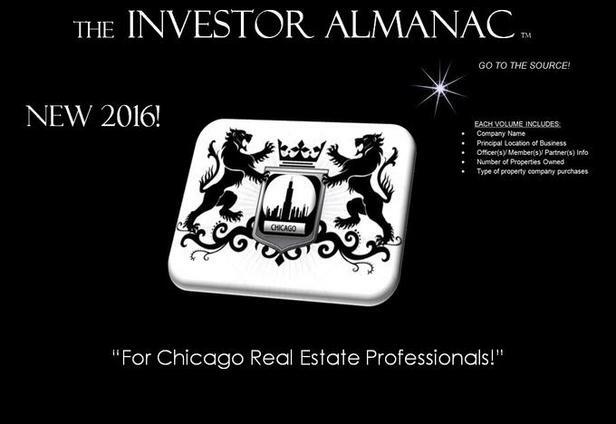 What is The Real Estate Investor Almanac? 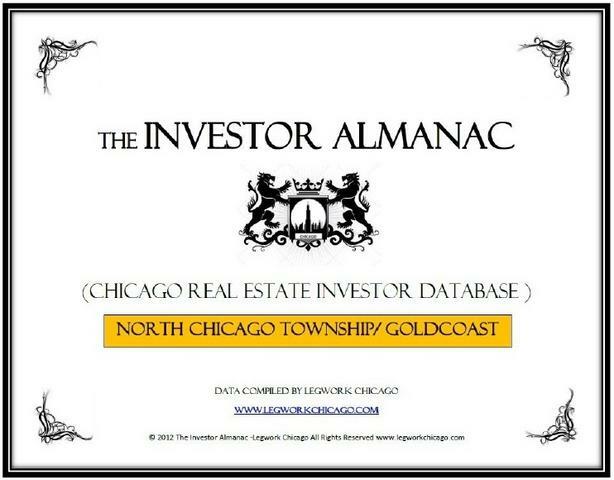 * The Real Estate Almanac is a database of thousands of real estate investors who purchase real estate in the chicagoland area. 2. How many investors are there in each volume? 3. How do I know which volume I want to buy? 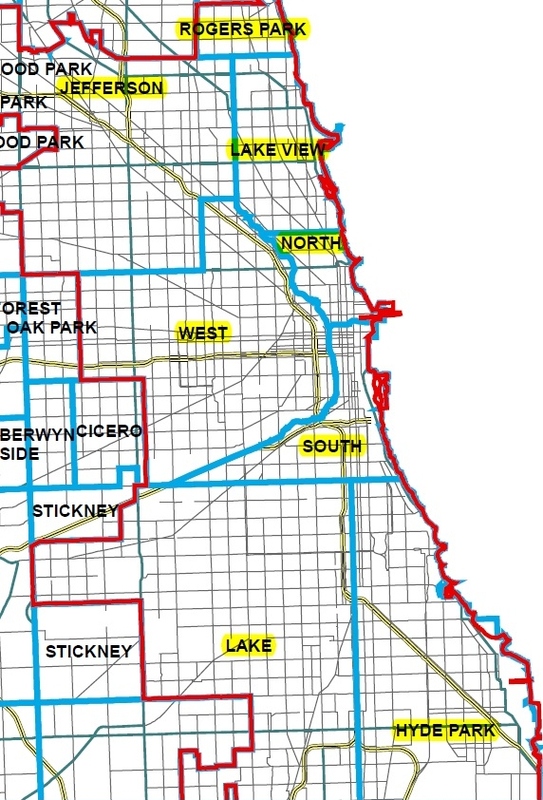 Example: If you want to focus on reaching out to the investors who predominantly buy in Lakeview Township, purchase Vol. 3. 4. Are the investors located in the townships that I'm purchasing? 5. What information is in each database? ​6. Is this information current? * The data for each volume has been recently assembled and is current as of 2016. 7. Will this be the only and final product or will the information be updated? * The information in each volume will be updated annually. 8. How reliable is the data? * The information assembled in each volume was compiled by public record research and due diligence professionals with 20+ years experience in real estate and was compiled using several sources of the public records and cross referenced. 9. If the data was assembled using public records, couldnt I just go to the public records myself? * Yes you could, however, to assemble the data in the way Legwork has assembled the data would take the average individual approximately 3 to 4 hours a day and approximately 8 to 11 months to complete. WE HAVE DONE THE WORK FOR YOU. HOW VALUABLE IS YOUR TIME? 10. How do you classify "Investor"? * We have done our best to classify "Investor" as "Any entity that owns two or more investments properties". There are those entities that own only one property within our databases and due to the nature of this business property inventory for any company can and does change on a monthly basis. THE CHICAGO REAL ESTATE INVESTOR ALMANAC IS THE MOST COMPREHENSIVE REAL ESTATE DATABASE EVER COMPILED IN COOK COUNTY. 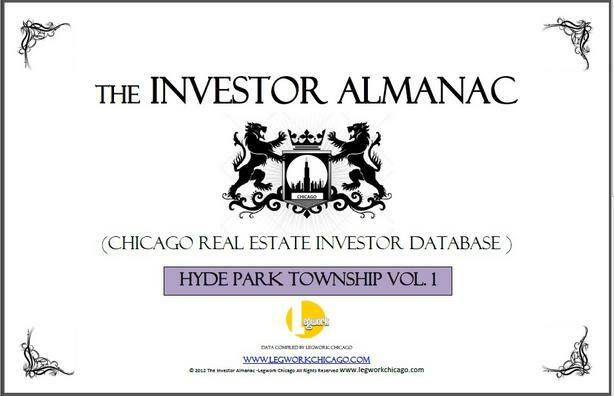 EVERY VOLUME IS JAM PACKED WITH THE CURRENT DEAL MAKERS IN THE CHICAGOLAND REAL ESTATE INDUSTRY. PURCHASERS OF THIS PRODUCT MUST EXERCISE CAUTION AND DEMONSTRATE DUE CARE WHEN MARKETING THEIR SERVICES ETC... TO ANY BUSINESS. THE DATA CONTAINED WITHIN EACH VOLUME IS INTENDED FOR INFORMATIONAL PURPOSES ONLY AND LEGWORK DOES NOT WARRANT TO THE ACCURACY OF THE DATA NOR ACCEPTS ANY LIABILITY FOR ITS CONTENT OR USERS. UNAUTHORIZED DUPLICATION OF ANY PORTION OF EACH DATABASE IS STRICTLY PROHIBITED!